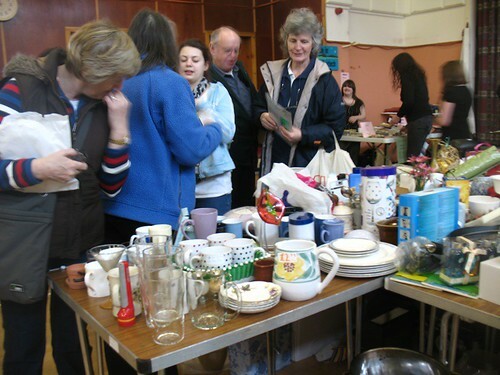 S1 Bring and Buy – S1 had their annual Bring and Buy Sale on Saturday 12th March. We raised £2300 to put towards the Nethy Bridge trip and a chosen charity. Thank you to all the people who contributed to the sale. Thank you to Dr Caley for over-seeing the event and well done to all of S1 for all of their hard work. – Robert Downie & Callum MacKenzie. Click here to see some photographs of the event. 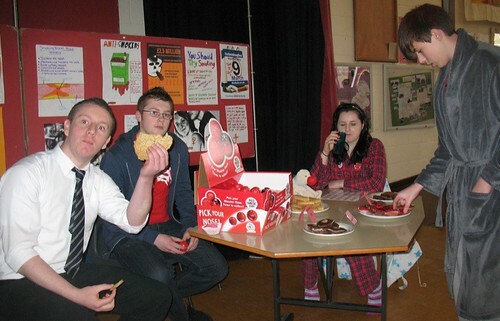 Red Nose Day – S6 pupils organised a non-uniform day and cake sale raising a grand total of £335.47. Well done all! Click here to see some photographs of the event. S4 Modern Studies Visit – The S4 Modern Studies class travelled with Ms. Velt and Mrs. MacKenzie to Edinburgh on the 2nd & 3rd March. The main focus of the trip was a visit to the Scottish Parliament. In the parliament, the pupils took part in an educational session with a member of staff. After this, our pupils met with our MSPs Rob Gibson and Jamie McGrigor. Both MSPs took the time to answer questions from the pupils and entered into discussions on the various issues that affect young people in our area. The pupils also saw the MSPs at work when they visited the debating chamber and observed the questions put to the Cabinet Secretary for Finance. Click here to see some photographs of the event. iDiscover – S1 and S2 were all involved in a single experience on the 10th March when they were involved with designing and presenting their ideas for an eco-classroom. This was the postponed event from before Christmas when snow prevented the presenters travelling. Mr Port and two senior pupils judged the designs. The Eco-Sust team won and you can see the designs on the school website. On the 17th March, the same pupils took part in their eighth iDiscover day. There were four experiences on offer on this occasion. Some were building a wind turbine in the craft room while others were making their own musical instruments from electronic components. Another group produced a film from scratch in a similar way to the podcast or stop-frame animation on other days. There was also a group looking at the organisation of and training required for the Olympics, an experience that visited the school on its second iDiscover day and proved to be very popular. Click here to see some photographs of these events. Culture Club – Gairloch High School staff and pupils went to see ‘Death of a Salesman’, performed by the Perth Theatre Company at Eden Court. Our numbers were swelled on this occasion by Mr. Ellis’s Higher English pupils who are studying the play for their exam in a few weeks time. All appreciated the performance although some healthy discussion ensued about the quality of some of the acting. We were late home as snow was lying for part of the journey but we realised how lucky we have been up until now as no trips during the winter months have had to be cancelled because of the weather. That will probably be the last visit Culture Club makes to Inverness for the next while because of the proximity of SQA exams, although, if something appropriate turns up for younger pupils, we may have little trip for them. Ms Gulliver would like to thank all the parents who have been prepared to pay for tickets and to pick up sons and daughters late at night over the past few months. Culture Club could not have got off the ground without that support. Badminton – Mags Matheson, Kenneth MacLennan, David Robertson, Nick Stein and Callum Vickerstaff travelled to Fortrose Academy on the Tuesday, 15th March to compete in the u-16 section of the Ross-Sutherland Badminton Championships. All four boys played well in their singles matches while Mags won all three of her qualifying games in the girl’s singles, which put her through to the semi-finals. She won this game also and will now compete in the u-16 girls single final at Tain on the 5th April. The Gairloch boys also played exceptionally well in their doubles matches with David and Nick being unbeaten in their qualifying matches, but losing narrowly in their semi-final. An ‘unofficial’ mixed doubles competition was held towards the end of the evening and this was won convincingly by Mags and Kenneth who collected certificates for this achievement. Well done to all five pupils. Things are looking encouraging for the future of the sport in the school. Thanks again to Strath Stores for providing fruit! Former Pupil – Ross Barnie has been in touch from Glasgow. I will be taking part in a sponsored charity abseil from the Finnieston Crane in Glasgow on 23rd April and hope many people will sponsor me. I am aiming to raise £250 for the Beatson Pebble Appeal who will put the money towards building the final element of the Glasgow Centre for Cancer Research, the Translational Research Centre. This will help turn research to real treatment for cancer patients. People can sponsor me by going to http://www.justgiving.com/ross-barnie or via my Facebook page. We wish Ross our best and further information on the Beatson Pebble Appeal can be found here . Exhibition – To commemorate the centenary of International Women’s Day, a display was mounted in the Library. 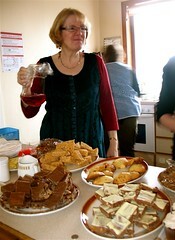 It included written contributions from girls in the school, female members of staff and women in the wider community. In each case a woman was nominated whose life was considered worth celebrating by the writer. She could be famous, a historical figure or someone known personally. Between 30- 40 contributions were displayed, including representatives from the worlds of the Sciences, the Arts, Politics and Sport, with a good handful of well-appreciated friends, neighbours, mums and teachers. The collection will be archived as a record of opinions 100 years after the birth of the IW Day. Easter Study Club – This will run again during the first week of the holiday, Monday 11th, Tuesday 12th and Wednesday 13th April. A good selection of teachers are offering their services and, as usual, there will be two, two hour study sessions each day with a marvellous Strath Stores lunch in the middle. Pupils are currently signing up and making their choices of subjects. Comenius Project Trip to Germany – Becky (S3), and Gemma, Rebecca and Sarah (S4) are looking forward to our forthcoming trip to Lehre, Lower Saxony in Germany this April. We will leave on Sunday 3rd April and stay until Friday 8th. We have already prepared our presentations for the host German students and the groups from Latvia, Greece and Italy, and will report on our experiences when we return. We are very excited about this opportunity and would like to thank Ms Campbell and Ms Hunter in advance. The Big Green Challenge Debating Competition – Our S2 team of Holly Morrison, Innis Taylor and Siobhan Vickerstaff travelled to the Scottish Parliament in Edinburgh on 21st March. Click here for some more information and photos taken at the event. The new wall has proved an amazing success since it opened last November. Climbers of all ages have been using the wall three evenings a week with additional visitors at the weekends. 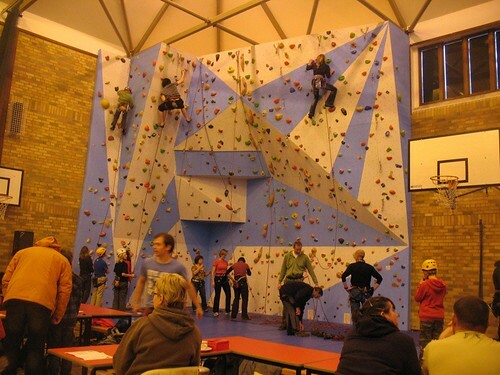 Saturday 19th March saw the first ever Indoor Climbing Wall Competition held in Gairloch. The Leisure Centre was buzzing with over 150 people through the door with 70 of them taking part in the event. The competition in all three age categories was fierce with people coming over from as far away as Penicuik, Brora, Elgin, Inverness, Dingwall, Ullapool and Dundonnell. The big turnout made sure there was three hours of continuous climbing action to entertain the spectators. Organiser Paul Tattersal would like to say a VERY big thank you to everyone who helped to make the event a success: all those climbers who spent time belaying, everyone who kindly donated baking for refreshments, Glynnis Pickering and Tracy Wilson for sitting all afternoon at the registration desk, Sandi, Gillian, Jennifer and their team for organising the refreshments in the hall, Jim Buchanan for doing a brilliant job designing and producing the score sheets and winners’ certificates. Also many thanks to Jenny, Katie and Dina at the Leisure Centre and Andy Bowker. Mary Buchanan, Connie and Michael Inman, Alex Fotheringham, Helen Meek, Huw Banister, North West Outdoors Ullapool, Strath Stores, Strath Post Office, Gairloch Garage, Treasure Chest, Harbour Lights Cafe, Bank of Scotland Gairloch, Whistle Stop Cafe Kinlochewe. The S1 Bring and Buy Sale on Saturday 12th March made a profit of £2300. This will be used to support the S1 trip to Nethybridge in May, so that it is affordable for all, and a donation will also be made to a charity of the pupils’ choice. We would like to thank the many local businesses and individuals who supported us by donating raffle prizes and items for sale, the Parent Council and Kate Thornton for the teas and pancakes, all the parents and others who helped out on the day, and of course all the members of the community who came along. Click on the photo above to see more photos taken on the day. Culture Club – Members of Culture Club recently enjoyed a visit to Eden Court to see Ballet Rambert. Three short ballets – each very different in character from the others. The first, Hush, was light and quite amusing; the second, Awakenings was serious and quite disturbing, reflecting mental health issues; and the third, A Linha Curva was a hugely energetic, samba inspired piece that had the whole audience on its feet for applause at the end. It was a great night out! Visit the tour website by clicking here. The Culture Club is joining forces with the English Department to go and watch a performance of Death of a Salesman, at Eden Court on the 8th March. Driving Mates – Diane and Graham Matheson were in school during PSHE to give a presentation to S5/6 pupils based on the death of their son Callum Matheson (17) and Ashlee Jackson (17) in a fatal collision in Inverness, during March 2010. This is the first time Diane has done something like this in front of pupils. She spoke about the on-line campaign entitled ‘Deadly Mates’ which warns young drivers that their passengers are their responsibility. We would like to thank Graham and Diane for taking the time to come from Inverness and deliver such a personal and emotional message. We hope our senior pupils got the message. If you want to know more, please look at the website www.sensibledriving.org.uk and read about the Graduate License scheme. You can also sign the on-line petition. Highland Small Schools’ 7-A-side League –On Friday the 25th of February the senior boys team won this tournament for the first time in many years. Photos of the S4-6 and the S2/3 teams can be viewed on the school website. Well-done boys! Badminton – On the 28th February Joseph Powell (S6) and David Gorman (S5) travelled to Tain for the Ross / Sutherland over-16 Badminton Championships. The boys played three Doubles games, losing two and winning one. Joseph played his first game of singles against the Scottish no. 4 for this age group and lost. He then went on to win his next game. David won two Singles matches and lost one to get knocked out at the quarter-final stage. They represented the school well, displaying good sportsmanship and determination to do their best against tough opposition. The boys were inspired by the players in the final stages and motivated to improve their individual performance. Well-done boys! 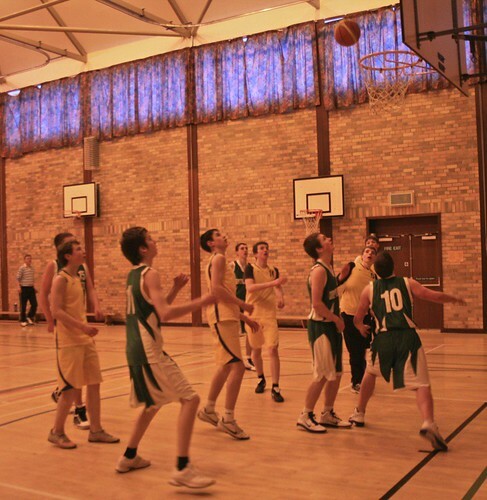 Basketball – Following a convincing series of wins, the S1 boys’ team played Culloden Academy on Sunday 27th Feb. in the Highland Regional final of the National Schools’ Cup. Mr. Johnston, Mr. Gorman and Dr Shearer accompanied the team. Unfortunately for our giant killers, there was to be no fairy tale ending; they lost 31-81 against a very talented side. The Big Green Challenge Debating Competition – Our S2 team of Holly Morrison, Innis Taylor and Siobhan Vickerstaff will travel to the Scottish Parliament in Edinburgh on 21st March to compete in the quarter-finals of this competition. The semi-finals and Grand Final will take place on the same day, so our teams are preparing for three different motions. If they are successful in their quarter-final debate they will find out only then what side of the debate they will have to argue. The Motions are as follows: Quarter-final; This House believes that marine renewable (wave and tidal) energy is the way forward for Scotland. Semi-final: This House believes energy conservation is more important than renewable energy regeneration for saving the planet and preventing global warming. 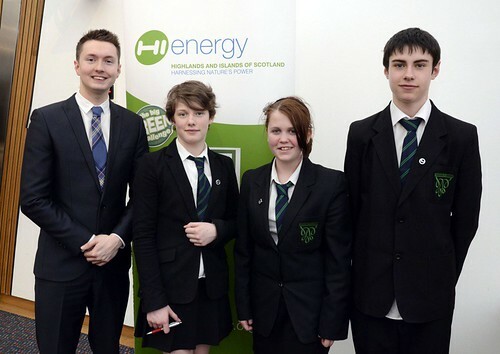 Grand Final: This House believes Scotland’s future economic prosperity lies in renewable energy. If you have any ideas or local examples to add to their ever-increasing knowledge of the issues, the team would be grateful if you would write a note addressed to the “Debating team” at the school office, or email their coach, Ms Mackison at the High School.